Other reviewers don't apparently understand the purpose of this reference work. 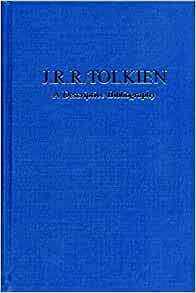 It contains all the minute details of the publication history of Tolkien's work. 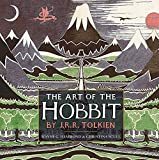 If you have an old edition of the Hobbit and have an interest in its rarity and presumed value then you need to look up the edition in this book. The odd thing about this bibliography is the adventure story it relates about the publication of these great works. It is an epic tale involving the incorrect spelling of the plural of Dwarf, exorcisig demons from a tape recorder by reciting the Lord's Prayer in Gothic, and fighting pirates of copyright infringement. Parts of this bibliography are actually interesting to read because Tolkien had such a hard time with publishers and copy editors. Raynor Unwin's story of reviewing the Hobbit as a little boy and then The Lord of the Rings as a young man is a marvel. Everyone, including the author, underrated the eventual popularity of the stories. 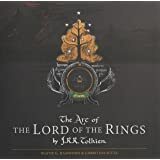 The publisher actually developed a plan to publish the Lord of the Rings as a trilogy. If Part 1 did not sell, then Parts 2 and 3 would not be published. As a result, readers bought and read Part 1 and then had to wait up to a year for Parts 2 and 3 to be published! Can you imagine reading the first part of this tale and having to wait so long for the ending? This bibliography tells the story. 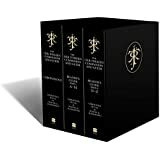 If you are a Tolkien collector, you get a great bibliography along with great stories.